A selection of my cut paper pieces are in Garry Marshall's last film, Mother's Day (2016), starring Jennifer Aniston, Kate Hudson, Julia Roberts, and Jason Sudeikis. While the artwork can only be seen in quick glimpses, it's exciting to help create the atmosphere in the characters' homes and offices. 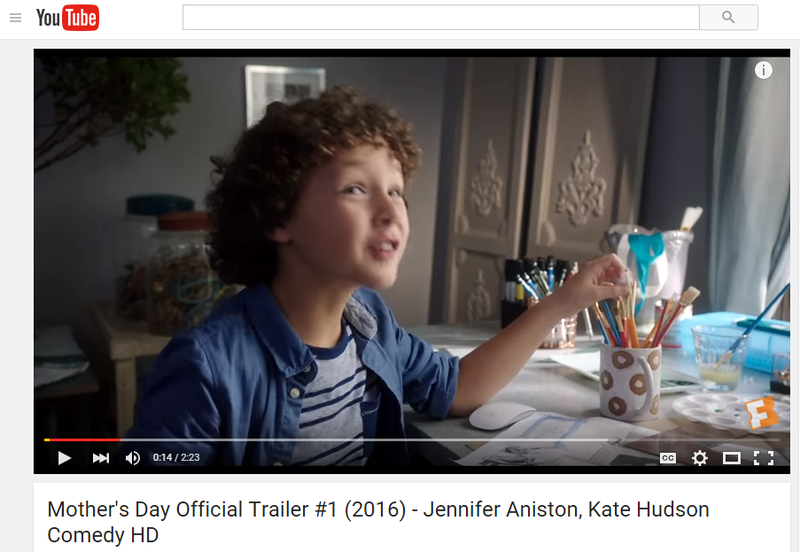 Some screen-caps are below, where you can see a cut paper bird of prey from the A Small Rustle series on the wall behind Jennifer Aniston and the shiny frame of a Winter Wonderland landscape on the wall behind the child actor.